Editor’s Note: Today’s article is brought to you by Stuart George, a freelance writer in London. Stuart studied English and European Literature at the University of Warwick and then worked as a wine merchant, travelling extensively through the world’s wine regions, before turning to wine writing. We are elated to feature him today, in hopes of enticing you to explore more Tawny and Colheita Port wines. Tasting rooms here usually have huge plate glass windows to allow visitors to enjoy the sights and sounds of the riverfront. Although there are always several rabelos (wooden boats) parked on the river outside the Port lodges, much of the romantic imagery associated with Port has gone. Nowadays wines are moved to Porto by truck rather than these rabelos; machines rather than feet crush grapes. Because of the river, cellars are always above ground, typically with wooden ceilings and stone floors. In Calém’s cellar and museum there are marks to indicate where floods have reached. In 1909, for example, the Douro reached five metres above its usual level. In July 2010 I visited Vila Nova de Gaia and tasted Tawny and Colheita wines from the Sogevinus group, owned by the Spanish financial company Caixanova, whose wine holdings comprise Barros, Burmester, Calém, Gilberts and Kopke. Good quality grapes from A- or B-grade vineyards in the Cima Corgo or Douro Superior go into Tawny Ports. After the decision has been made to create a Vintage Port or Single Quinta wine, what is left can become a Tawny. Tawny is usually aged in large barrels called pipes, historically between 580 and 630 litres (550 litres in the Douro) but in practice as much as 60,000 litres. Calém has some 100-year old barrels that are occasionally renovated with new wood but the original frames are always retained. These elderly containers are sealed with wax to prevent and cure leaks. 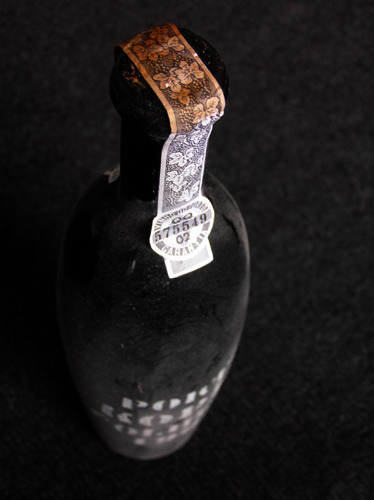 The age cited on the label of a Tawny Port is merely an approximation. These wines are complex blends of older wines and younger wines, like a family gathering. Blended non-vintage wines such as these, for which consistency of style and flavour is essential, depend on the winemaker’s skill and judgement. House styles can be detected: Calém is elegant, while Barros and Kopke are more structured, as demonstrated by the Barros 10-year old White Port and Kopke 20-, 30– and 40-year old White Ports that I tasted with Fernando Oliveira, Master Blender for Barros, and Cátia Moura, Communication Manager for Sogevinus. The Burmester Colheitas (1937, 1955, 1963, 1979) retain a rustic edge that age cannot wither. Careful stewardship is needed to ensure that a wine that spends 50 or more years in a cask is in good condition when it is bottled. Like a young child, a Tawny Port requires constant attention. They need to be racked at least once a year; more frequent racking means more oxidation. Firm acidity is needed to endure all that time in wood. A Colheita is a wine from a single year that has been aged in wood for at least seven years – essentially a vintage-dated Tawny. But most Colheitas are aged for much longer than this. In his novel Todos os Nomes (All The Names), the Nobel Prize-winner José Saramago wrote, “even though the clock would like to convince us otherwise, time is not the same for everyone.” Whereas Tawnies are largely a matter of nurture, vintage-dated Ports such as Colheita depend largely on nature and the conditions of the year in which the grapes were harvested. Like Tawnies, Colheitas do not evolve in the bottle. However, different years of bottling mean different wines. Kopke has Colheitas back to 1937 that are bottled to order (or for the visit of English wine writers). The wines that I tasted in July 2010 will taste differently if I am fortunate enough to revisit again in a few years’ time. The economics of aged Ports are challenging. It means locked-up capital, loss of wine by evaporation and high insurance charges. A Port Shipper has to make wine that will not be bottled or sold for perhaps 50 years or more. A modern bank manager would be appalled by such a business plan. The modern taste is for lighter, fresher wines and food. 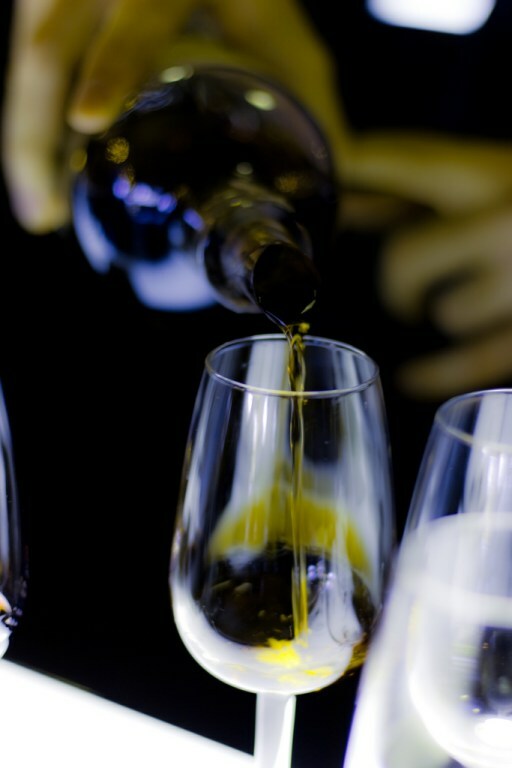 Considered passé by many drinkers, fortified wines are not drunk often these days. They need to be special. It is sad that such marvellous wines should have to justify themselves but the best Tawnies and Colheitas are very special indeed. They deserve to be preserved and enjoyed.